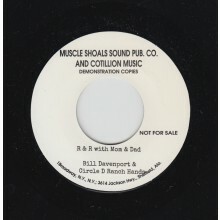 BILL DAVENPORT (& Circle D Ranch Hands) "R & R With Mom & Dad/ Bill Inst. N.G." 7"